I usually don’t post Penguin of the Week of Club Penguin Rewritten on this blog, however yesterday’s winner(s) were a bit different and special! 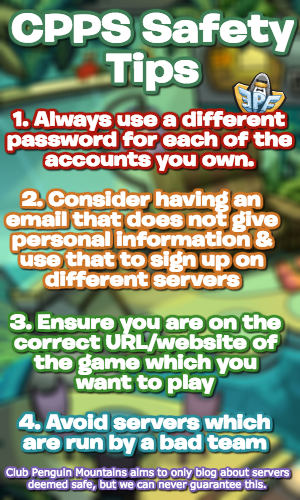 The winners were the community, including every single member who supported the game, such as yourself! This is the official heartwarming announcement which was written. Welcome back to the 50th edition of Penguin of the Week, or should I say “Penguins” of the Week. This weeks winners have stuck by our sides for the past year and supported all of our work to make our snowy island unique and special. If it weren’t for them, we wouldn’t know where we could’ve gone with our island and not be as special as it is right now. Even when things were looking down, they would always cheer us up and support our decisions all the way. They’ve helped us create awesome memories, parties, events, and even helped us pick a new color back in July! That being said, the 50th “Penguin” of the week goes to the Community! Thank you all for helping with the love and support you’ve gave our island. Even though our beloved snowy island is closing, this is just the beginning of a journey for you penguins. The community will always live on and grow stronger and greater than ever before. Thank you all for your kind, caring, and supportive deeds on our island. 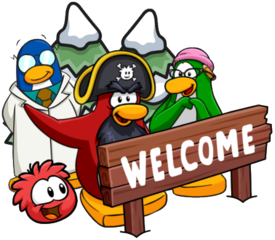 Whilst this is a short post, I really wanted to share this nice message from the Club Penguin Rewritten team with you, and inform you that you are a Penguin of the Week! I’m going to miss the game a lot, but I think this was a great conclusion to a series which lasted around 50 weeks.